Pototo crop losses in Prince Edward Island and Manitoba are hurting production capacity in fry plants there. 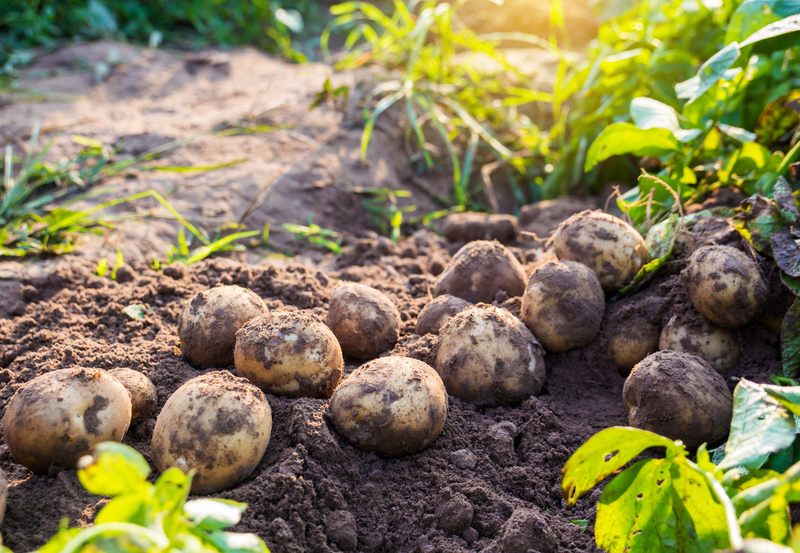 Approximately a 9% decrease in yields in these areas are prompting factories to ship in potatos from other areas of Canada and the U.S.A. at increased costs. Weather conditions were wet and cold during the end of the season making it impossible for farmers to dig out their potatoes. Moving forward the Manitoba area will need twice as many potatoes in order to keep factory expansions there running at capacity. The most recent Food Institue Report has advised that exports of can sweet corn declined by 12% in volume compared to this same time last year. As well frozen sweet corn exports decreased overall by 8% in volume compared to this same time last year. Potato harvest for processing potatos is completed in the Pacific Northwest and reports are that there will be plenty of potatos to keep factories running at capacity. However high demand due to shortages in Europe is making for a tight market. Added capacity is coming on line in both the Colombia Basin and Idaho, which will result in exta finished product,however it is still unknow how quickly factories will be getting their new lines ramped up to run at capacity in order to meet the demand. 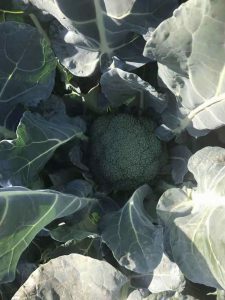 The drought conditions earlier in the year and then the excess rain during the planting season has continued to give challenges to the Mexican broccoli and cauliflower industry. The rain continued in Mexico during September and October when the rainy season should usually end. Mexico’s anticipated good harvest in October did not happen. Based on the most recent issue of the Mexican Processors Association the year of 2018 goes down as the most challenging year in recent memory. The extended rainy season resulted in a 44% increase in cumulative rainfall. Although the rains have finally subsided, the supply situation for both cauliflower and broccoli is still critical, with lower yields and very limited inventory. The U.S. National Potato Council reports that a formal signing of the new USMCA trade agreement between the US, Canada, and Mexico was signed this past week, however Mexico’s 20% tariff on US frozen fries remains in place. Together, Canada and Mexico represent the second and third largest export market for U.S. potatos with a combined value of approximately US$575 million per year. However the 20% tariff on U.S. French fries into Mexico remains in place at least until a 25% tariff on steel and aluminum is lifted. Guatemala is suffering the same situation as Mexico. Too much rain and humidity has caused a reduced broccoli crop, resulting in short supply. Processing Potatoes: Reports from the North Western Potato Growers (NEPG) are estimating that the potato harvest will be less than 20 million tons. Reports continue to come in with news of a short potato pack in Europe for processing. It depends on the region on how difficult the situation is. As an example Belgium reports that potato yields fell by about 30%, while Germany and the Netherlands fell about 25% and France only 5%. Recent articles claim that on average french fry length will be shorter and we have heard that fast food chains such as McDonalds Europe must readjust menus and cooking equipment to accomodate the shorter length on their frys this season. In the meantime Euopean processors are notifying buyers that they will not be able to take on any new business this season. A great opportunity for North American processors to gain some ground, however it is yet to be seen if capacity here in North America will be able to keep up with the demand. A major hail storm is reported by Food News to have damaged blueberry and cherry production in some of Chiles growing regions. The extent of damage is not fully known yet. Healthy potato chips! Koikeya company has just introduced a new potato chip product without salt. The product is cut, lightly seasoned in oil and then fried. No sugar or seasoning. The name is “Barefaced Potato” and can be found in Lawson stores across Japan. Broccoli and Cauliflower continue to grow, and to date the crop conditions look very good with stable prices.